Snakes! Why'd it have to be snakes! There are some quintessential models every 1/18 seems to have at one point or another. These Bburago Vipers are probably both in the top three of that list. I actually picked these up before the holidays but haven’t had a chance to talk about them yet. Two separate eBay auctions for a total of $20, including shipping, brought these V10 snakes to me. Hard to say no to that. 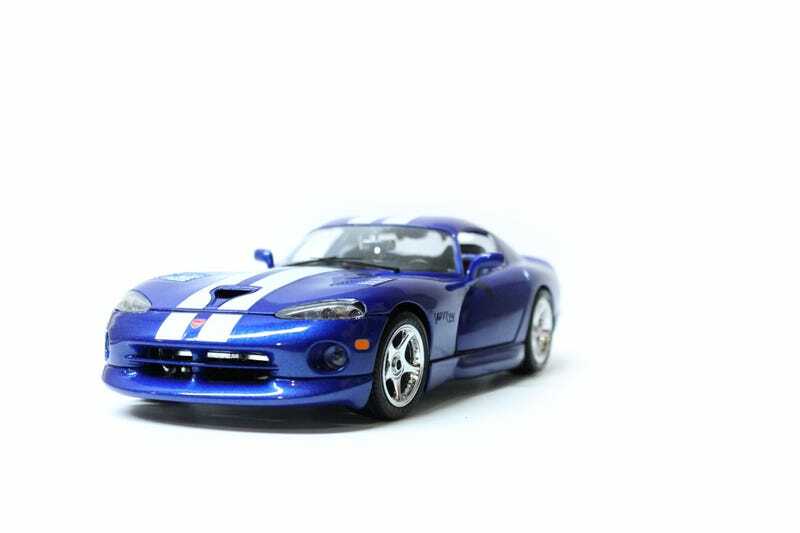 Read along as I take a trip down memory lane with an old friend - the 1996 Viper GTS Coupe. This is a blast from the past all the way from 1995. In fact this model I got was a first edition from that very year. A Bburago catalog was tucked into the styrofoam box liner too. At the risk of feeling old, how many LaLDers weren’t even born yet when this was released? Interesting thing about the dash is that everything you see here is a sticker. They didn’t even spring for individual stickers! The gauges, switches, and vents are all one decal. This also means the dash itself is just flat plastic. The infamous spare tire in the back. The GTS never came with a full size spare! The side badging is there, a part of the casting and it’s correctly painted in the same color as the body. No stickers here! Just ignore that turn signal. The stripes are stickers and not paint, not surprising for 1995. What is surprising though is that they are both actually one decal. Oh an the hood vents are cut out too. Interesting that they went to that extent and not just stamping the hood to mimic the vents. That V10! Not a ton of detail under the clamshell, but at least the block is a different color from the rest of things. This of course is the RT/10 in classic red. The OG Viper for sure. The Viper that wants to kill you. This thing is a classic already. Those side pipes. The three-spoke saw blades. The complete disregard for a roof. I love it. It’s a bucket list car for me, I will have one someday no matter how scary it is. Same dashboard decal as the GTS, and I actually think the RT/10 was released in 1995 too. Your standard 90's Bburago over spray... or under spray I guess?